'Surrounded by a lining of stunning seas and mountains, Athens is filled with gems just waiting to be discovered. Located at the crossroads of three continents, the capital of Greece with an overall population of close to four million has often been the hub of many cultures. Characterized by a culture and people that are welcoming and hospitable, every visitor just feels at home..."
ASTA’s destination expo each year takes place in a different city around the world. "I am also proud to say that the friendship between Greece and United States has never been stronger. We have reached a very special moment in our bilateral relationship, and on both sides our governments are committed to building on this momentum. And all of you who are here today are certainly contributing to that." At the opening ceremony of the ASTA conference US Ambassador to Greece Geoffrey R. Pyatt also stressed that Greece is a safe destination, and has been awarded by the US State Department's highest level of travel safety, and also chose to remind that "Americans are excellent cultural tourists,"
The American tour operators and members of the American Society of Travel Agents have been toured during the previous days to explore the city's historical center, the Acropolis and Plaka, by two special guided tours organized by Athens Walking Tours. 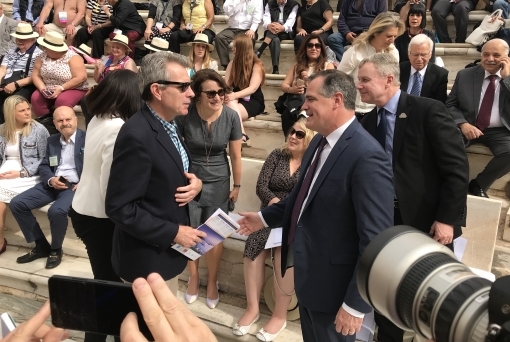 The US Ambassador also underlined that the most fascinating feature of Greece is the combination of its natural landscapes, people, gastronomy and culture, and stressed the intentions from his coutry's part to increase investment and tourism to Greece . 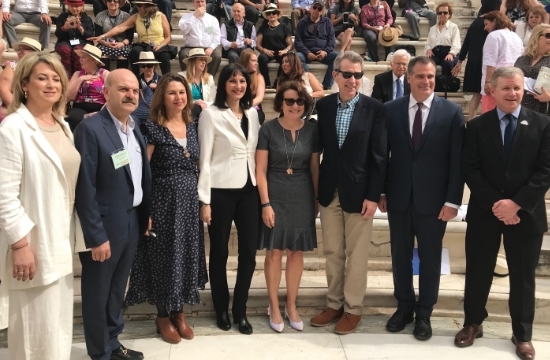 The opening ceremony incuded musical performances by soprano Anastasia Zani accompanied by the Hellenic Navy Orchestra and was attended by tourism and diplomatic delegates, relevant bodies representatives, eminent personalities of the Greek tourism sector as well as FedHATTA members. At the welcome dinner appointed on Sunday night at the Zappeion Megaron, the American travel agents will try a best of Greece's special flavors of the traditional Greek gastronomy, offered by the Acropolis Chefs Club of Attica The delegates will also be given the chance to sample Greek wines with the cooperation of the specialized wine tourism consultant company Grapefool and the support of Wines of Greece. Greek destinations, the beauties of Greece and their unique touristic profile, will be extensively exposed at the Expo kiosks of Greek National Tourism Organization (EOT), South Aegean Region, Crete, Grecotel Hotels & Resorts, AMKE Branding Heritage, Tripping View, The Glam in the City, Moptil (Mobile Optilcal Illusions), Fortissimo, Celestyal Cruises, Grapefool, Skinos Mastiha Spirit ande many more . On Monday, April 16 the Expo participants are invited to the Alimos Matrina of Attica where the First Yachting Festival of Maritime Tourism in Greece takes place so the travel agents will have the chance to experience Greek yachting firsthand and explore opportunities for cooperation with professionals of marine tourism. As FedHATTA President Lysandros Tsilidis noted in an interview to Tornos "We are aiming for a double-digit increase in incoming tourism from the USA in the coming years, on condition of continuing coordinated top-level undertakings such as the ASTA Destination EXPO 2018." 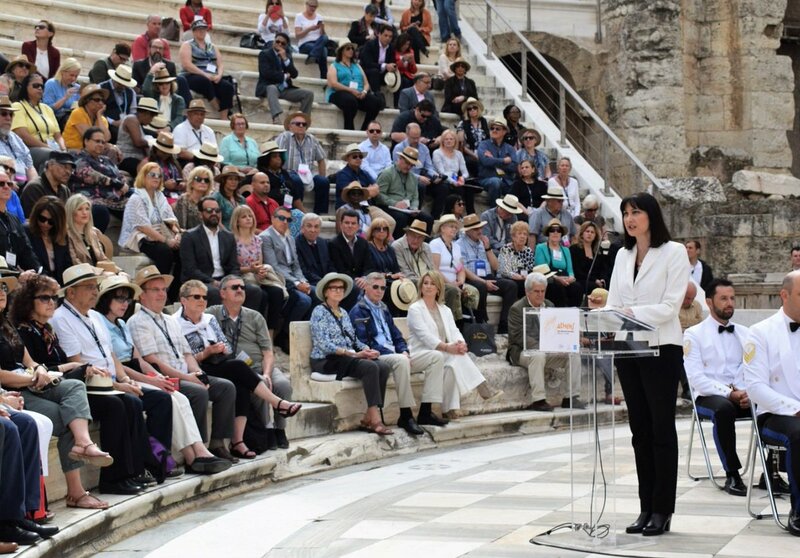 The Expo is undouptedly contributing greatly to the promotion of Greek tourism by engaging tourism organizations and travel agencies to promote Greece as a destination in the coming years. 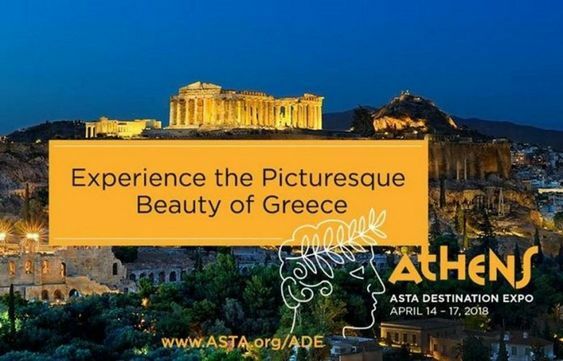 More than 80 percent of all travel agency sales in Greece are made through ASTA members, according to an announcement by the tourism ministry, the official asta-destination-expo-2018 website undelrines. The American Society of Travel Agents is among the world’s largest associations of travel professionals. About 70 percent of its members are American travel agencies, tour operators and companies, while the remaining 30 percent are spread all over the world. The Athens Convention & Visitors Bureau, which organizes the Expo in Athens has also incoroporated as announced, "green meetings & events" to the program, in the aim to include environmentally friendly and responsible choices and proposals for the city surrounded by such a natural Green Beauty not far from downtown . A "green meeting" has been defined as a "meeting that incorporates environmental considerations throughout all stages of the meeting in order to minimise the negative impact on the environment." According to studies, staging a green meeting is not only good for the environment, but it can have economic benefits and enhance the reputation of the event organiser, Asta Expo 2018 organizersw quote .